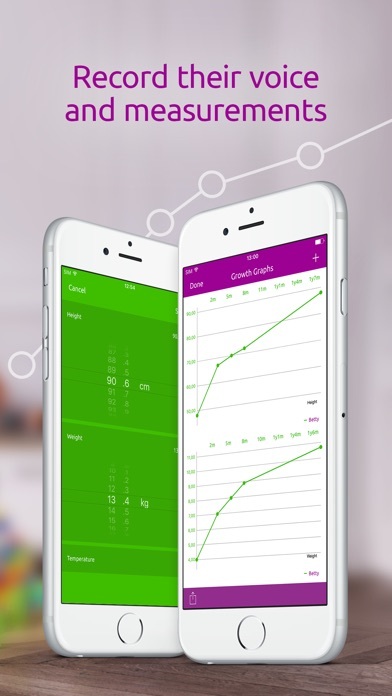 *Best Baby App, Note Your Baby Growth And Milestones. Easy Share With Friends* A must-have best parenting app! 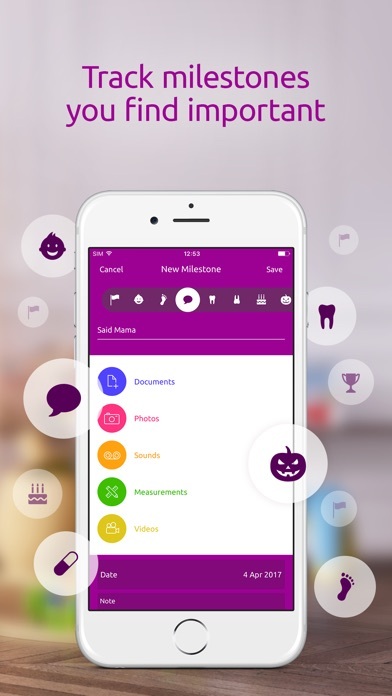 Just create your own baby or kid journal, simply track your child’s development, and share it with your family and friends easily and privately. Baby Tracker is a smart baby milestone tracker with a time lapse face-photo function. FEATURES: - CREATE AMAZING TIMELINES - watch your babies grow up in time lapse for each of your children - TRACK MEASUREMENTS AND MEDICAL DOCS OF YOUR CHILDREN – record the growth and medical data of your child - TRACK DEVELOPMENTAL ACHIEVEMENTS & MILESTONES - choose from different types of milestones and capture the best of special moments and details of early days and childhood. - RECORD THE AUDIO OR VIDEO - the first time they say ‘daddy’ or ‘mommy,’ easily record those precious memories and share them with those closest to you. 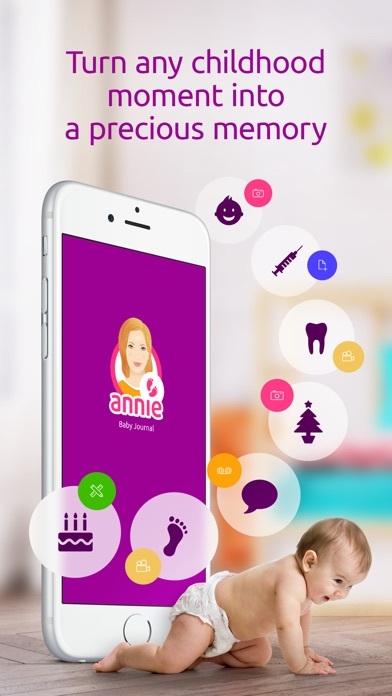 - SHARE PHOTOS AND VIDEOS PRIVATELY WITH FAMILY AND CLOSE FRIENDS - CLOUD SYNCHRONIZATION - Annie Baby Journal will take care of synchronizing and storing your records to a cloud storage. You no longer have to be afraid of losing all the precious data about your baby. Install Baby Journal by Annie today and start recording the family moments that will make you happy forever. By purchasing the full version parents are allowed to store an unlimited number of records within their account. PLANNED FEATURES (COMING SOON) - Family account that will allow parents to synchronize the data across other members and devices within their family - Data Export function with which parents will be able to safely store all the data locally on their phone - Remote cloud storage to save all recorded data Baby Tracker is currently only available in English. We’re working very hard to bring you a full user experience in other languages soon. CUSTOMER SUPPORT: We would love to hear from you, so please send us your feedback to support@anniebabyjournal.com Do you love using Baby Tracker? It would be nice if you could leave a positive and honest review on the App Store. Thank you for using and supporting the Baby Tracker! Nice design! I love using Pulse Listener. I can recommend the app to everyone. Very useful, nice design, great! I was searching for something such as the Baby Tracker for a long time. I didn’t want to share pictures of my baby on the internet. I wanted to have my own place, something I always have with me. I was lucky! I found this app which meets my expectations. Thank God that apps like Baby Tracker exist! My mother and sister don’t have Facebook and they also don’t know such things as Instagram! I was looking for a way to share photos of my newborn with them when I finally found this app. Now I can show them my pictures really easily. Such a easy way to record child's milestones. Great app! With so many possibilities, it’s sometimes hard to choose the right thing, especially when you are a parent. I have tried out a couple of apps and have to say, this one was love at the first sight!!! Didn’t know there is such a thing as baby journal app! I’m a proud grandmother of two beautiful boys and now I can collect all the memories here instead of classical printed album. This application is very much appreciated in my family! Better than any other app I’ve tried out so far. Love the fact, that I can add all photos and videos etc. So easy to use, costs almost nothing and works instantly! I can’t stop to take photos of my sleeping little angel!!! !